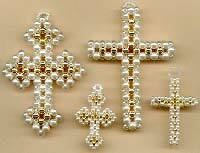 Small, decorative hand-made Crosses. Ideal for automobile or home. Perfect gifts. See at right. Plain and fancy, standing or hanging. Austrian crystal rhinestones may be added for an additional $2.00. 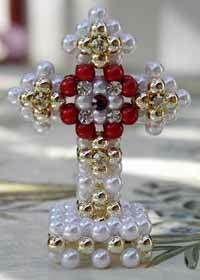 Crosses come in an assortment of colors.